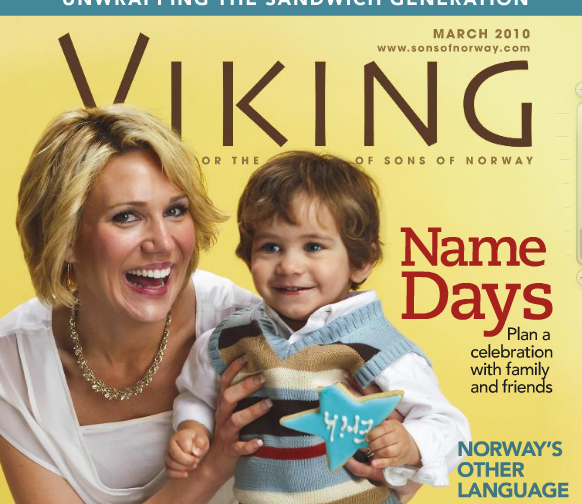 A few months back I created name-day cookies and cupcakes for a Viking Magazine photo shoot. The digital version is now available online! The boy model enjoyed the frosting so much, it was hard to get a good photo of him without his fingers in the cupcakes! As an entrepreneur, I definitely know the value of a good client. 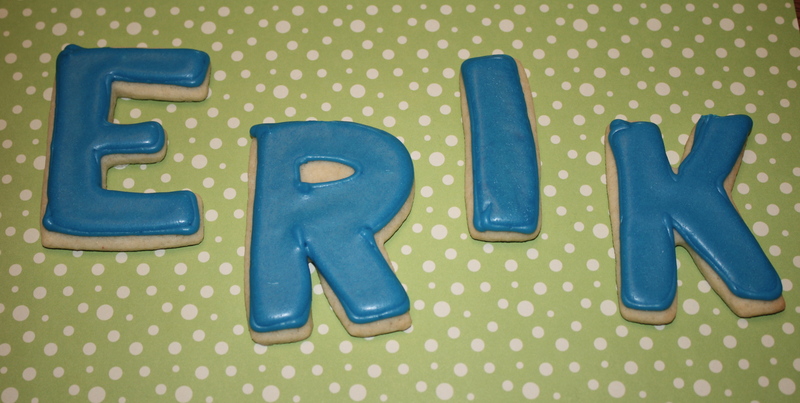 One local photo studio requested 16 dozen frosted sugar cookies to give to their best customers. 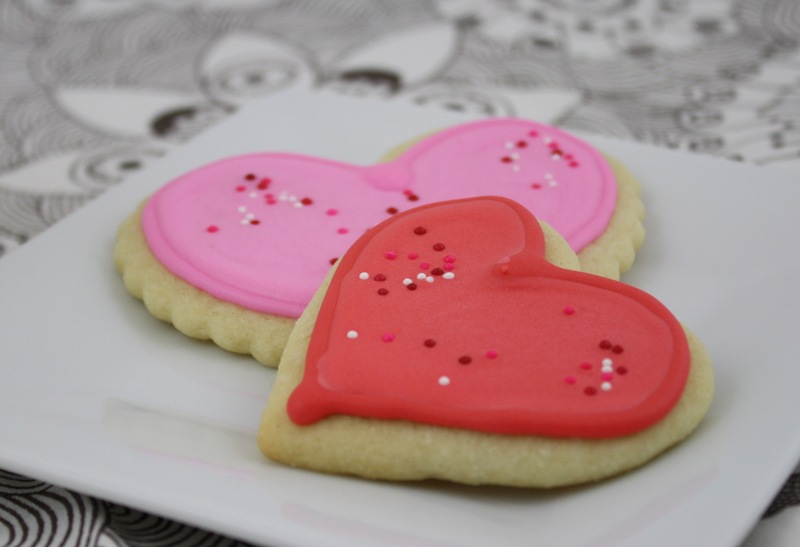 Packaged in cellophane bags and tied with ribbon, these make an excellent Valentine’s Day treat. 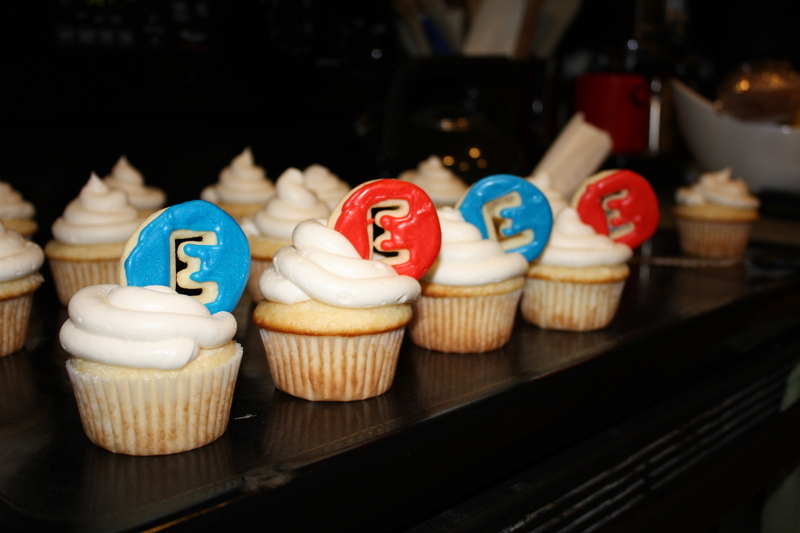 My client liked the cookies and cupcakes I made for their name-day celebration photo shoot, they requested a second batch to give as a gift for an actual “Erik’s” birthday. 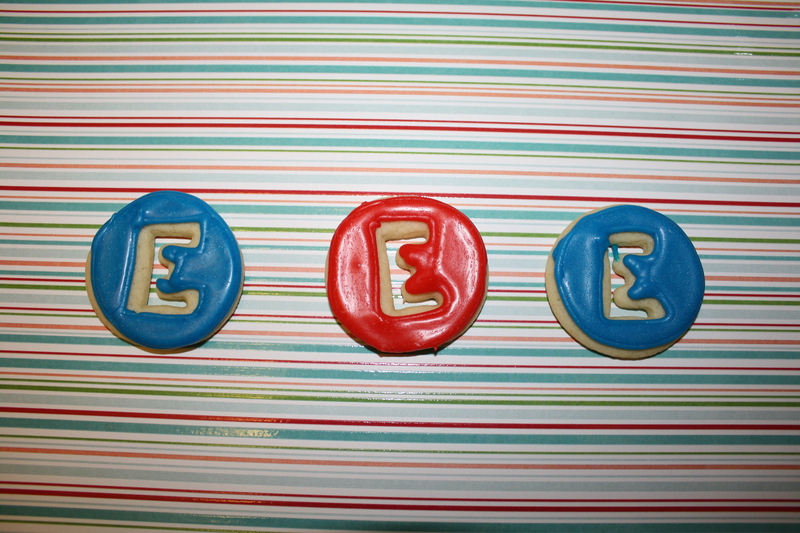 This order included frosted sugar cookies and sugar cookie cupcake toppers.